Looking "where to sell my Jaguar XK140?" Ask the Chicago Car Club! Are you wondering "where to sell my Jaguar XK140 ?" The Chicago Car Club is interested in classic cars of all makes and models, especially a Jaguar XK140. 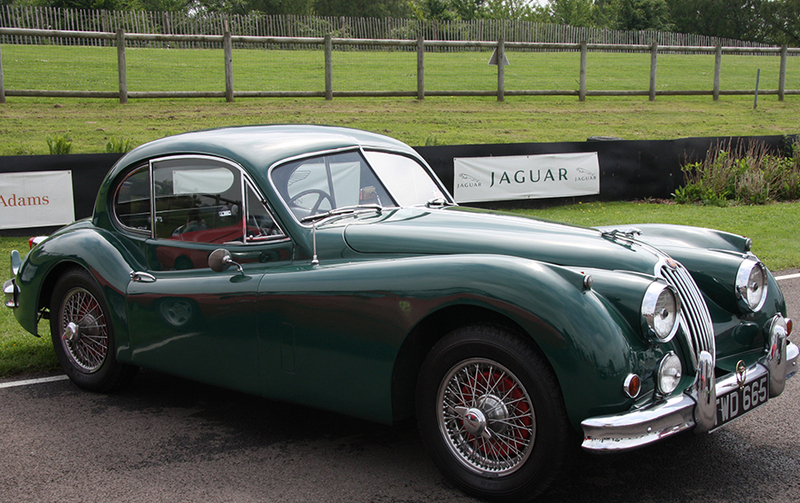 We make the process of selling your Jaguar XK140 quick and painless. In just a matter of hours we will have your classic valued and, if you do so choose, turned into money in your pocket. All it takes is a phone call or electronic inquiry to get the ball rolling. Jaguar’s XK140 was introduced as an evolution of the very well-received XK120. Exterior changes included larger and more prominent bumpers, as well as new turn signals. The engine, firewall, and dash were moved up three inches from the XK120, providing more legroom for taller drivers. The XK140 was powered by the same XK motor as in the XK120, but with a slight power bump, up to 190hp. The cylinder head from the C-Type racing car was available as an option, which bumped power up to a very respectable 210hp. For 1956, Jaguar introduced an automatic transmission option, which made the XK140 the first Jaguar sports car available with an automatic. There were three different body styles of the XK140; there was the Roadster (light canvas top), Drop Head (heavier canvas top), and Fixed Head Coupe (fixed roof).